The ever-growing advancement in the vehicle technologies make the use of various accessories, inevitable. The excessive maintenance needs of the cars demand us to have a reasonable amount of sources at home. One such useful thing is a car ramp which has made our lives a lot easier when doing different maintenance stuffs with our car. It is widely used in garages and auto repair shops for changing oil and for a lot of other uses as well. Auto ramps are of different types which we will be discussing from all aspects throughout this guide, in order to get the best idea that is the most suitable one for your needs. 0.1 What are auto ramps? An auto ramp actually provides a mean to elevate your car from the ground. This is needed for different reasons such as oil changing, fixing a nut, washing and several other maintenance needs. In short, the underside of a vehicle becomes easily accessible when a car ramp of any kind is deployed. Depending on the type of the ramp, the equipment is deployed for several car needs. It virtually eliminates the need of using a car jack which requires far more effort and the result would also not be much more favorable. The Aluminum Car Ramp – The aluminum ramps are the premium ramps, because of their rigid structure and longevity. They are far more versatile than any other type, but they have their downside too. The downside is its heavy weight, which makes it less favorable to be portable. It has got the capacity to lift your car as much as 10 inches off the ground, which provides good enough space to change oil and to do other maintenance work. The set consists of 2 different ramps providing low incline which makes it highly suitable for the low profile cars to be catered. The capacity for this type for single axle is up to 3000 pounds. The aluminum construction of the equipment makes it long lasting, but that also means that the price would be higher and more than any other type available in the market. Then, there is aluminum ramps available for catering trucks, which obviously have higher incline with excellent sturdiness, longevity and higher price too. Furthermore, there are ATV ramps which are also made of aluminum and are used for heavy duty 4-wheelers lifting, loading and transporting, including small trucks. 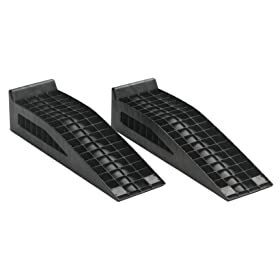 They are also alternately known as the folding ramps as they can be folded with ease to make them suitable for convenient storage and sometimes to increase its portability. Rhino Ramps – This is the most common type with the largest customers’ database purely because of its affordability, effectiveness and ease in use. It is made from plastic polymer material and has got the capacity to lift your car off the ground from 6 to 7 inches with an angle of around 17 degrees. The front underside of this type is equipped with a rubber pad which prevents the equipment from slipping once the car is lifted using it. Still, utmost care is required when using them over epoxy coated surfaces or concrete sealed floors as that can make the equipment to slip to a dangerous level. The GVW (Gross Vehicle Weight) rating for this type is in between 12K to 16K. They are economical, light-weight, portable and take far less storage pace than any other type. This type is not suitable for the low profile vehicles. Mini Ramps – The mini ramp type is the most suitable one to be used for the low profile vehicles. It is ideally designed for low profile cars with a low profile ramp which eliminates any chances of slippage. This is very much affordable and effective enough to reasonably lift your vehicle off the ground for easy sliding a car jack underneath. It is made from honeycomb type plastic (heavy duty) which makes it an inexpensive, yet a long lasting and easy to store solution. The rating for this one is close to 4500 pounds and utmost care should be taken on concrete garage floors due to its plastic nature, in terms of slippage. Race Ramps –They are given the race ramp name due to their extreme sturdiness, light weight and their flexibility to suit with different vehicle needs. They are far more preferred these days because of its endless range of options to choose from. They are equally popular among the auto enthusiasts, racing/ auto clubs. They are creatively designed using the expanded (high density) polystyrene EPS foam. They are further coated with the hybrid polyuria which protects it from different types of hard to treat automotive chemicals. The other plus of this final coating is that it makes the ramp totally resistant to slippage. The manufacturers of this type also claim that it can be used over ice without any fear of slipping. The only major drawback of this type is that the price of such equipment is quite high. The many common uses of the ramps are to elevate the cars off the ground for washing, oil change, loading in a truck, transportation and other maintenance needs. 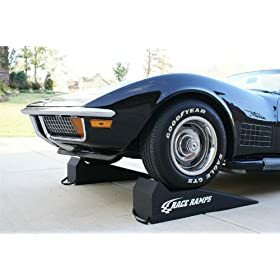 They provide users with an excellent convenience factor as the car could be lifted quickly off the ground as compared to a floor jack which takes a lot of effort and time as well. They are safe as compared to the floor jacks as the former ones do not have any moving parts which could make them vulnerable to any dangerous consequences when dealing with a vehicle. However, for added protection, a floor jack stand could always be used just as a precaution. The modern ramps are versatile and could cater for all types of needs of different cars including a low profile vehicle to a truck. Profile – If you are having a low profile car such as sports, exotic or a race car, then you need to have a low profile ramp which is also usually longer than the other type of ramps. Rating – The rating of a ramp tells that how much is its capacity to support the load of a car. If you have a small or light weight car, then any of the available ramps available in the market would work for you. But, if you have a heavy car such as an SUV or a truck then the rating of the equipment measured in pounds should be considered. Material – The ramps are available in different materials, such as heavy duty plastic, expanded high density polystyrene EPS foam and aluminum, etc. The aluminum type obviously is sturdy and long lasting with disadvantages of difficulty in portability and inconvenience in storage, On the other side, the other types are light-weight, portable but they can be vulnerable to slippage. Convenience – Convenience must be considered in terms of portability of the equipment and light weight. The foldable ramps today are the most convenient and preferred one these days. Depending on the usage of the equipment, the economical factor should also be kept in mind. This is a 2-piece ramp set by Scepter manufacturer, having an excellent range of features. It is made from heavy duty plastic with a core parabolic type arch which runs right through the middle of the ramp, giving utmost support. The capacity of this ramp is 12000 pounds per piece. The design is very light weight, yet sturdy and gives room for allowing dirt, water and even snow to fall through. It is indeed an equipment for all weather use supporting a good range of light to medium weight cars. 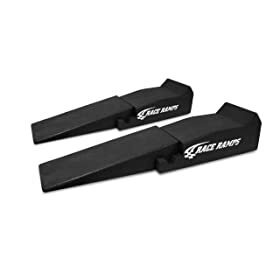 This is a versatile 2-piece set from a renowned Race Ramps manufacturer. It is made up a guaranteed solid core design with special construction features. The construction of the equipment is so that it doesn’t allow any scratches over your garage floors. The bottom side of the ramp is very easily detachable for gaining convenient access to the side. This is portable easily and can be folded for easy carry or storage. Apart from this, the product is ideally designed not to slide or slip, regardless of the surface of the floor. This pair of ramp from RhinoGear manufacturer is popular for its sturdiness and compatibility with a lot of vehicles. It has a structural rugged design which minimizes any risk of slippage while the vehicle is lifted on the ramp. The design consists of the CoreTRAC material which is genuinely known for giving non-skid base to the ramp over any type of surface. It has an excellent 16000 pound GVW capacity. The tool becomes easy to use for the low clearance automobiles with an incline of 17 degrees. 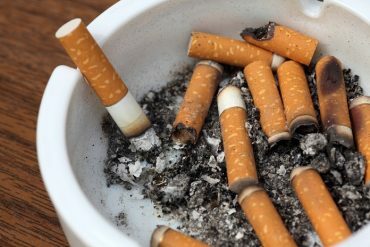 It is long lasting and definitely worth investing your money. 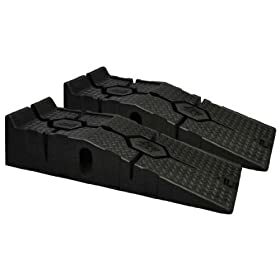 These are the sturdiest ramps that you can ever get for your heavy cars and trucks to get loaded or lifted off the surface for any maintenance needs. They are made from fine quality aluminum and can be used for lifting cars, pickups, trucks, tractors (small) and also the ATVs. Maximum traction for any kind of weather condition is provided through the use of special wide plated cross rungs. The maximum capacity of the product is 3000 pounds/axle. This high quality product is manufactured in the USA and holds the certification by AWS welders. The price due to the heavy duty aluminum material is on the higher side, but it is meant for easy long term use. The unique selling point of this auto ramp is its light weight, sturdy construction, portability and convenience in storage. 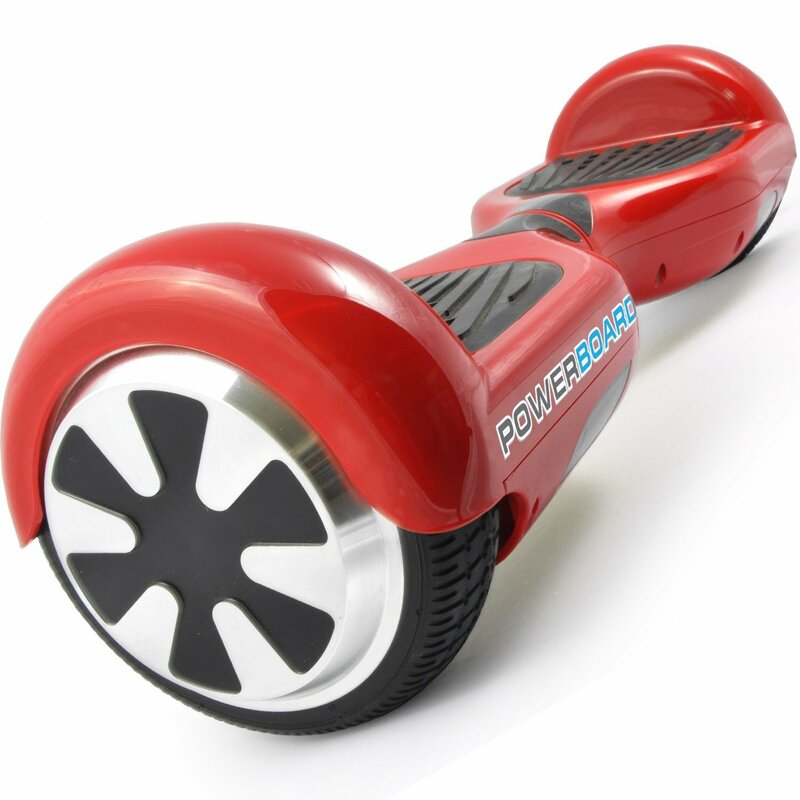 This one comes with a special construction which refrains from marking any scratches on the floor of your garage. If you are a sports car owner such as a Jaguar, BMW, Miatas and other cars with small noses, then this is the best auto ramp for you. The solid core of the ramp with long lasting material ensures toughest usage and that too comes at a very affordable price. Further, the equipment is totally non-slippery and no slippage is experienced even over ice. First of all, make sure that the ramp is placed on a flat and plain surface with no obstacles or oil on the nearby floor. While you drive your vehicle up the equipment, fully ensure that the car firmly sits over the flat spot over the product. The wheels of the car should always be positioned right at the center of the equipment. Make sure that no part of the wheel hangs in the air from the ramp. The best practice while using the ramp is to chock at least one wheel of your vehicle. That wheel ideally should be the one which is placed over the ground. This would give your car the best safety with no vulnerabilities at all. The auto ramps should be purchased by any car owner who is into some basic maintenance ensuring of vehicles. 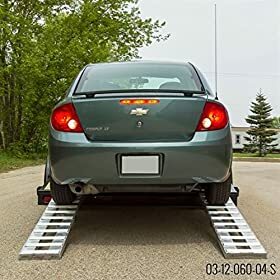 The ramps are useful for people who are looking to load their car, usually in a trailer, or for those who do oil change and other maintenance related work. The affordable, easily foldable and lightweight designs with convenient storage are suitable even for seasonal users. 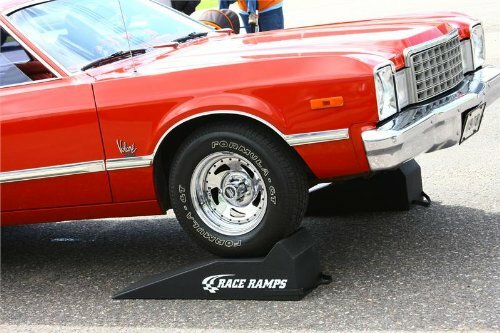 The auto ramp is a must to have thing for maintenance if you are a car owner. It is advised to assess your ramp needs depending on the type of your car and then find the suitable branded product by evaluating all its features and specifications. Material, profile, rating and convenience in use should be given the utmost priority while buying such a product.